After a few bites of this delicious soup, I couldn’t help but remark, “I love a soup that feels like a meal.” As much as I love soups, I know Roasted Butternut Squash Soup is not enough to satiate me. It requires a side or a complementary entree. 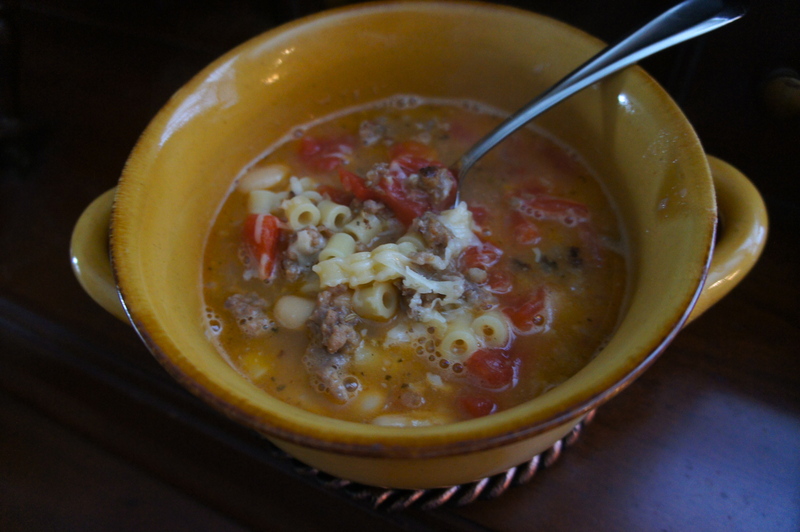 A Pasta and Bean Soup dinner felt complete and my subsequent lunch the next day did too. This recipe reminds me of a soup you’d order at an Italian restaurant and think that it tastes too complex to ever attempt. There are a couple keys to this recipe. The first is the pureeing of half the beans. It adds body to the broth without making the soup too thick. Second, cooking the pasta separately alleviates the dreaded “noodle bloat” where your liquid disappears and you’re left with soggy, mutant ditalini. And of course, the flavor is phenomenal– spicy, sweet, and rich. Puree half of beans and 2 cups of broth in food processor or blender until smooth; set aside. 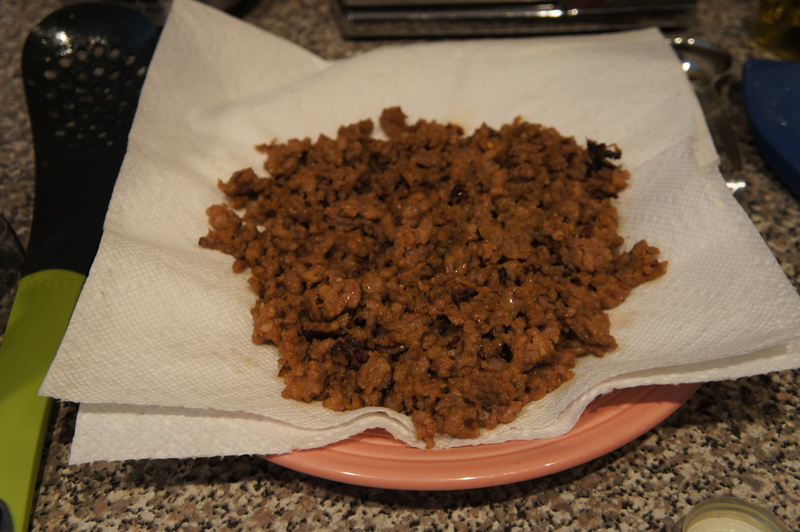 Cook sausage in large pot over medium-high heat, breaking up pieces with spoon, until no longer pink, about 5 minutes. Drain sausage on paper-towel lined plate. Add oil and onions to fat and cook until softened, about 10 minutes. Add garlic and cook until fragrant, about 30 seconds. Add tomatoes, remaining whole beans, remaining broth, pureed bean mixture, cooked sausage, 1 teaspoon salt, and 1/2 teaspoon pepper. 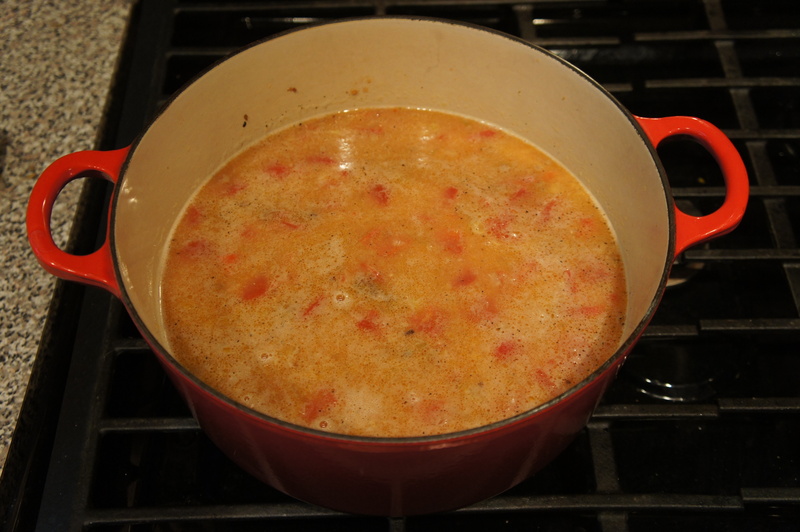 Bring to boil, then reduce heat to low and simmer until tomatoes and onions are very soft, about 15 minutes. Meanwhile, bring water to boil in large saucepan for pasta. Cook according to box instructions until al dente. Drain pasta and add to soup once complete. Stir in basil and Parmesan. Serve.